French Doors are a classic piece of design. They’ve been found in stately homes (and not-so-stately ones) for centuries. The largest part of their appeal stems from their defining feature: the glass panels they incorporate, which allow light to flow from one room to another. When they were first introduced in 17th century France, they were typically used to link the interior with a balcony, allowing sunlight access to the inside of the home. They’re still used in this way today, but they’re also employed as interior linking doors. If you're thinking of buying some internal french doors for around your home you might be wondering where they're best placed. Let’s take a closer look at some of the applications they might find their way into. French doors offer an excellent means of linking a bedroom with either a hallway or an en-suite bathroom. Depending on the volume of glass being employed, it’ll create expansive impression that’s all-important in the modern home. If your home is arranged it the right way, you might be able to see all the way down an adjoining hallway while you’re lying in bed. Not only that, but it’ll help to act as a visual centrepiece for the room, drawing the eye and helping to bring everything together. Of course, a bedroom is a place where you might appreciate a bit of privacy. Here, you’ll have a few different options. You might opt for frosted glass, which will diffuse light passing through while still allowing it to illuminate your interior. But if you do this, you’ll be unable to restore visibility and that sense of a big, open area. The better options therefore tend to be curtains and blinds, which can be used to temporarily grant privacy. Ideally, you’ll want blinds which attach to the door itself, so that you’ll be able to open and close them without pushing the door into the curtain. If you’re looking to get some sleep during the daytime, or while the light in the hallway is on at night, then you’ll probably want something a little more heavy-duty: a set of blackout curtains will do the trick. When it comes to the pantry, our objectives will be completely different. In the case of smaller pantries, where you can reach the back shelf without crossing the threshold, you probably won’t be looking to create space. We’re instead looking to make sure that we can see into the pantry, and at a glance check how generously-stocked it is. If your pantry is especially well-organised, you might even be able to see how much of a given item is available without opening the door. If you’ve got a walk-in pantry, on the other hand, a French door might be essential in allowing natural light in. A pantry will often dispense with windows in order to allow the maximum possible amount of shelf-space, and so combining a window into the door will go a long way toward avoiding the feeling that you’ve descended into a bomb shelter every time you reach for a can. For traditionally designed kitchens, oak french doors add a real rustic charm to the space. 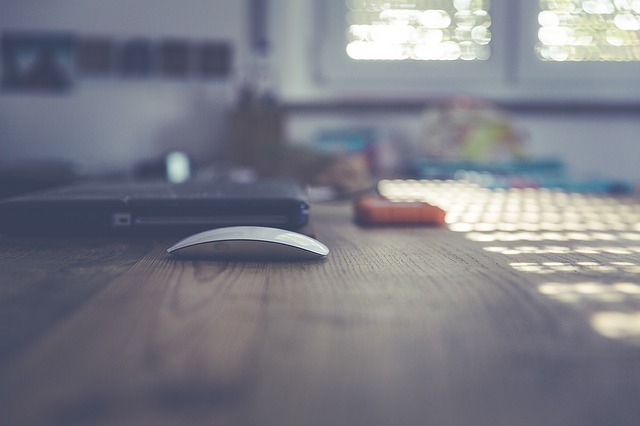 Natural light is all-important in creating the optimal working environment. The more of it you can let into your study, then, the better. French doors allow an additional means of bringing the sunshine into your workspace. Like the bedroom, the study might be a place where privacy is paramount – since there are few things more distracting than the sensation that someone outside might be watching you. Similarly, if there’s something interesting going on in the adjacent room, you might be tempted to sit and watch rather than getting on with your work. In order to shut out the outside world and really devote your attention to the task, you might equip your door with blinds. Bathrooms are an area of the home where privacy is all-important – and so frosted glass is almost obligatory. Frosted glass will help to brighten up your bathroom while ensuring that no-one can see what’s going on inside. You might buy your glass pre-frosted, or you can modify it later with the help of a can of ‘spray-on’ frosting, which produces similar results. Of course, frosting doesn’t just provide privacy – it also presents an opportunity for decoration. By alternating different degrees of frosting, we can describe all manner of interesting shapes and patterns. Ideally, you’ll want something that marks the room out as a bathroom, but which doesn’t make it look like a pub toilet: seashells and other nautical shapes typically make for good subjects. A closet has much the same basic needs as a pantry – you’ll want to be able to see what’s hanging up inside without opening the door. The largest possible volume of glass might be desirable – but if your closet is crammed with different styles and colours of clothing, you might find that an entirely-transparent door becomes an eyesore. A smaller set of windows near the top of the door should allow you to see the hanging contents of the closet without allowing those contents to dominate the room. If you’re fortunate enough to have a walk-in wardrobe, perhaps as an attachment for your bedroom, then allowing natural light to come in from outside might be worthwhile. You want the two rooms to feel, as much as possible, like a single cohesive whole, and a set of French doors might allow you to achieve this. A large set of French doors work excellently in the dining room. They can be used to link it to the kitchen or living area so that your guests can easily migrate from the former to the latter. If your dining area is among the first rooms you encounter when walking through your house, then you might find that a set of French Doors are just the thing to grant it that classic sense of style. A set of French doors which open out into the centre of a long dining table is just the thing to create that elusive ‘wow’ effect – but you’ll need to ensure that all of the elements are in place. In such settings, it’s often safer to stick to the classic styles – a two-by-eight grid of rectangular glass panels encompassing the top half of each window is sure to fit the bill admirably. In most cases, additional dressing won’t be required. Linking a kitchen to your dining area via a set of French doors is great for breaking down the visual barriers between the two rooms, and ensuring that both appear as one cohesive whole. For the vast majority of your time spent in the kitchen, having that extra look of roominess will be welcome. If you’re hosting friends for food, then you might not want them to see into your kitchen. After all, things may be a little less orderly in there than you’d like to show off, and you might have a few surprises in store that you’d like to keep concealed! In order to maximise the flow of light, while still allowing for some privacy, a set of blinds might be in order – since you might be constantly moving between the kitchen and the dining area, these should be secured to the door itself. The living room area is where you’re likely to do the vast majority of your relaxation – and the openness that comes with a set of French doors is sure to help you get into the right frame of mind. But if you’re looking to enjoy a film, particularly during daylight hours, or when there’s a light on in the next room, you might wish to temporarily shut out the windows of your doors. In order to do this effectively, you’ll need a set of blackout curtains. These devices will completely insulate one room from the next and allow you to fully immerse yourself in your entertainment-of-choice. French doors are an excellent and popular means of linking a home with a garden or balcony – as they maximise the spread of light and the sense of space. What’s more, they look great, too. But that’s not the full extent of the usefulness of a set of French doors. 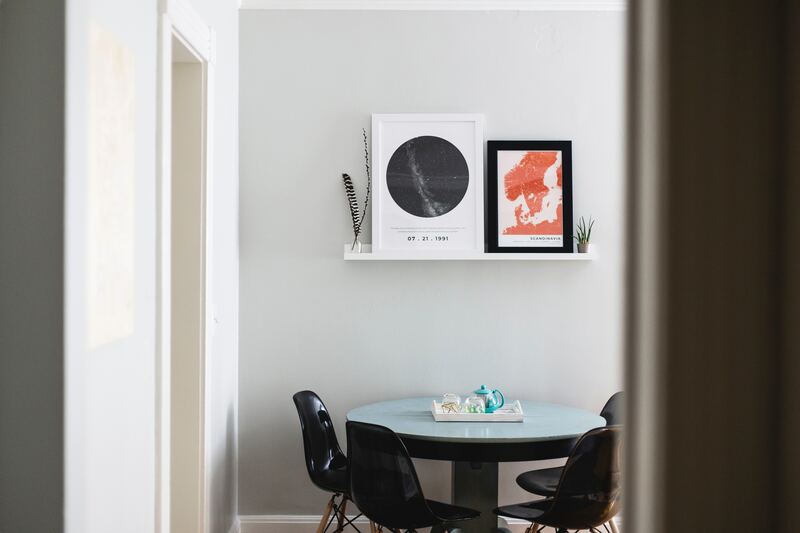 By using them to link the rooms of your home, you can help break down the barriers between rooms – ridding yourself of many of the drawbacks of a door, while still retaining their strengths. 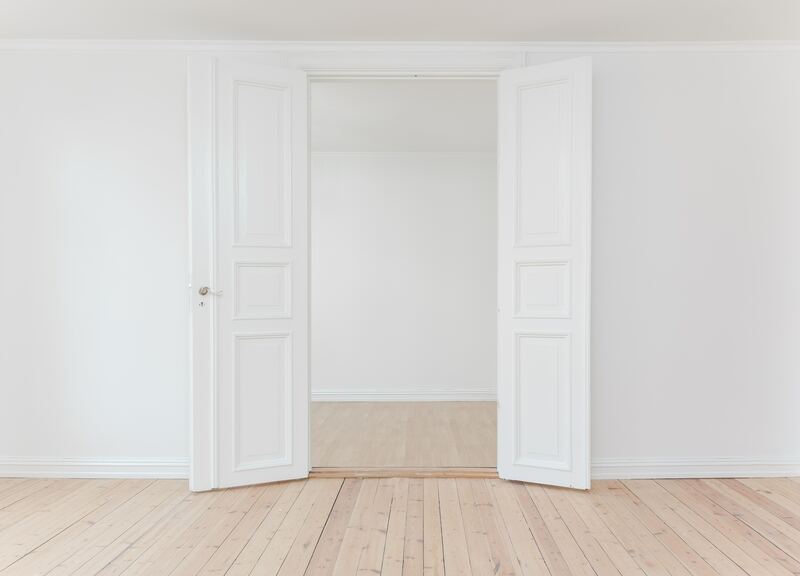 If you’ve got an opening suitable for a set of double-doors, they’re the obvious choice!